View Larger STING: LIVE AT THE OLYMPIA PARIS BluRay Sting: Live At The Olympia Paris captures the musician's critically-acclaimed guitar-driven rock tour as it hit the French capital for a very special performance at the iconic venue in April, 2017. Hailed 'the show of a lifetime' (The Vancouver Globe & Mail), Live At The Olympia Paris celebrates highlights from across the 16-time Grammy Award winner's illustrious career, with blistering performances of new songs from his latest album 57th & 9th including the infectious first single,"I Can't Stop Thinking About You", and the anthemic "50,000", alongside classic hits from The Police as well as Sting's solo career. 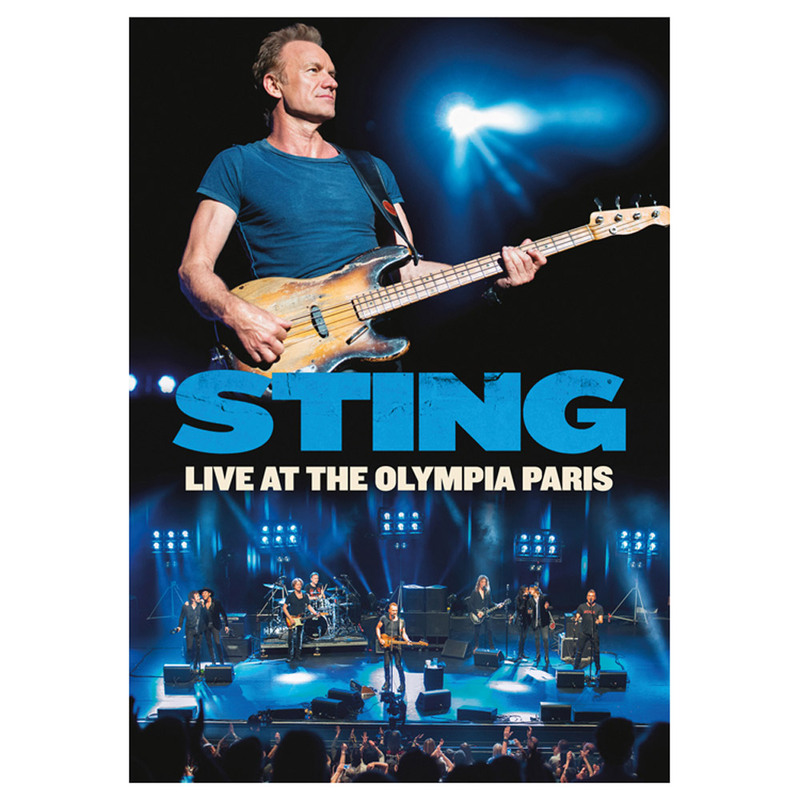 Sting: Live At The Olympia Paris showcases the wide range of his eclectic style and songwriting influences in one momentous live show. Sting is joined onstage by a 4-piece band including his longtime guitarist, Dominic Miller, Josh Freese (drums), Rufus Miller (guitar) and Percy Cardona (accordion), with backing vocals from Joe Sumner plus Diego Navaira & Jerry Fuentes of Warner Music Nashville recording artists, The Last Bandoleros. Bonus content features 9 performances from Sting and special guests, Joe Sumner and The Last Bandoleros.